Keep track of payments and billings to always have your cash flow under control. While Costlocker can’t exactly manage your cash flow for you, it can provide several critical inputs that you need to do so. 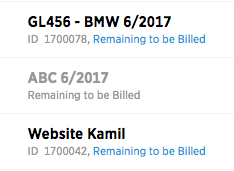 The Billing outlook is a list of all projects that you’re going to invoice in the coming months. The list shows all the planned billings, i.e. 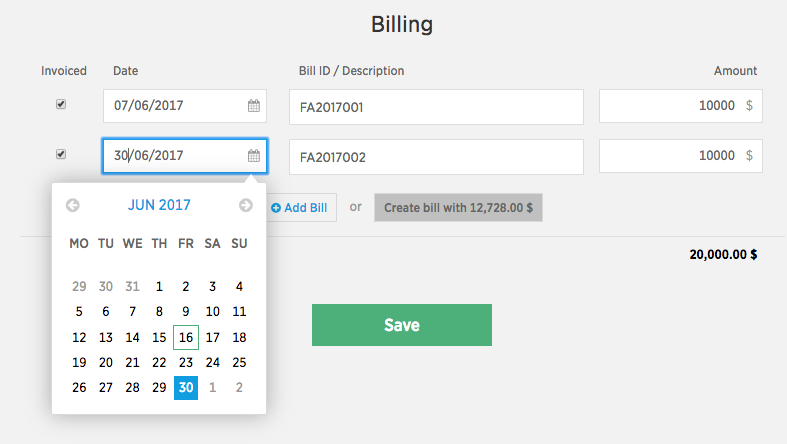 when and how much you’re going to invoice, based on the data entered in the Billing tabs of your projects. 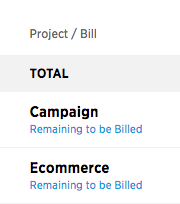 However, Billing outlook also shows projects that don’t have billings planned yet, but are scheduled to end and there are still budgets left to invoice. These records can be recognized by the blue Remaining to be billed note. The list displays future income from fee-based projects as well, so if you look 2 months ahead, you’ll find projects that haven’t been created in Costlocker yet (RECURRING fee-based projects), but Costlocker still counts on them in the future. The titles of these projects are printed in grey and aren’t clickable. If you want the numbers in the individual months reflect your cash flow as much as possible, enter the due date of your invoice in the Billing project tab instead of the date the invoice was generated. If you created an invoice on June 16 and the client has 14 days to pay, enter June 30 into this field.